Anyone slightly familiar with KaOS knows this announcement was coming. Tomorrow, February 24th, this full move will take place. 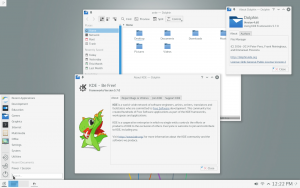 This will mean the end of the KDE 4 desktop for KaOS. 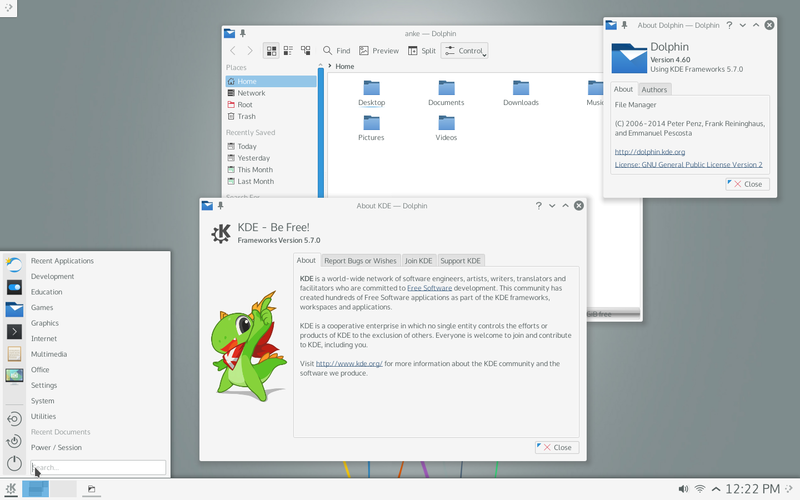 All parts of the KDE 4 desktop will be fully replaced by Plasma 5. What does this mean for KaOS users? With your next update, you will see that many package will be replaced, this can be anywhere between 80 to well over 200 packages being replaced. If you run this update with pacman, it will ask you for each replace to confirm, all defaults are correct ("Yes") so you can hold the "enter" key to confirm all. If you use Octopi, then all is automated, Octopi selects the default answer for you. During this update a helper application will pop-up, it will give you some more info about what is happening, gives instructions in case you already use sddm as login manager and gives you a GUI to be able to reboot or shutdown once the update is completed. Theming for Qt4 applications, remaining KDE 4 applications and GTK based applications will slightly change. To integrate all, best option right now is to use QtCurve. This update will automatically install qtcurve and qtcurve4 for you, if you use GTK applications, install qtcurve-gtk too. That way, anytime you make changes to Plasma 5 settings, they will automatically be applied to all. Right from the start of this move in May last year, simpler naming and removing artificial split packages was implemented too. You won't find names like kdegraphics-gwenview or kdeutils-ark anymore, they follow the simple upstream naming as in just gwenview and ark. Same is done for packaging, all is set as KDE ships. That means there is no longer a split package "kde-baseapps-dolphin or kdepim-kmail. Those are all shipped as one package by KDE, so dolphin is part of kde-baseapps (just like konqueror), kmail is part of the one complete kdepim package. Others have been split by KDE, example is kdepimlibs, it is now split into 20 different packages. If any package that the above command returns depends on KDE 4, remove prior to this update. KaOS cannot and never will be responsible for packages you install not from the official repositories. Another News post will follow tomorrow once the move is done and the new stable, Plasma 5 based ISO is released.